I don't know about you, but it's been a blast of a holiday season thus far, and we're only about half way through in our neck of the woods (so many family parties to go to and whatnot). I was hoping to get a quick yuletide wishings out sooner, but it's been so hectic, and then bouts of colds have hit our families. 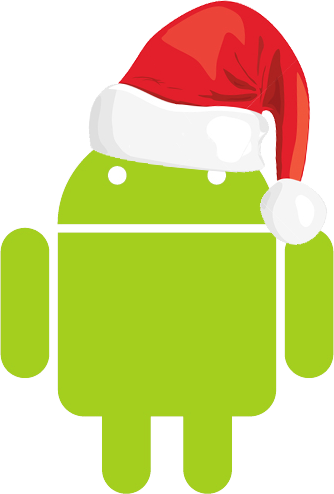 Regardless, we here at Android Coliseum, really wish you the best of the season, whatever you celebrate. For me the best of this season is getting out of the office for a few days and spending time with loved ones. Looking forward over the next few days to being able to write up our year in review articles as well as some 2015 predictions (you can see how well I did last year). Now, go get off the internet and enjoy some time with your friends and family (and some egg nog... we'll only get it for the next week or so!). For me, I'm going to enjoy some quiet time watching the Blackadder Christmas Carol.